﻿ History - Poltava firm "VORSKLA-STYLE"
VORSKLA celebrated its 90th anniversary on the 23rd of September, 2014. Over the years the staff of the clothing factory has experienced many events: establishment of the company, evacuation, resumption of the work after the war, construction and refitting of the factory. During light industry development, the production process had been renewed and the product range had been changed in the Poltava clothing factory. 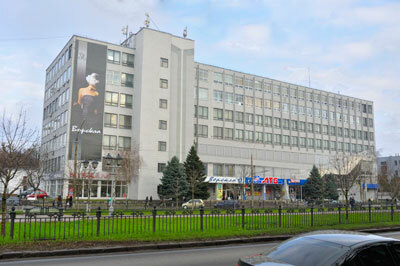 It was founded in 1924 as the ODEJDA Poltava Clothing Factory. In the 30-s the company produced men's suits, winter men’s and women’s coats. During the Second World War the factory was evacuated to the Bogorodsk town, Gorky region, where clothes for the army were manufactured. In 1944 only workers returned to the factory, sewing machines were left in Bogorodsk. There was no space, no workers, no machines, no raw materials but the factory had to work. On April 8th, 1944, the light industry governance approved the factory staff of 10 people. We started working, building. One-storey building was built in this area. Building materials were searched in ruins. A housewarming was celebrated together with Victory Day on May 9, 1945. By the end of the year, 109 universal machines were set up there. The number of factory workers had increased. There were 246 people on January 1, 1946. Number of employees has been increasing, the company has been growing. 1949-1958 is a decade for the factory workers that can be characterized as a period of smooth work, daily performance and over-fulfillment of production plans. As of January 1, 1948 there were 550 workers on the factory, on January 1, 1950 - 650 employees. 50’s are the formative years of our company. New equipment is installed, product range is expanded. Five-year plans are carried out in 4 years. Employees' achievements marked with government awards. 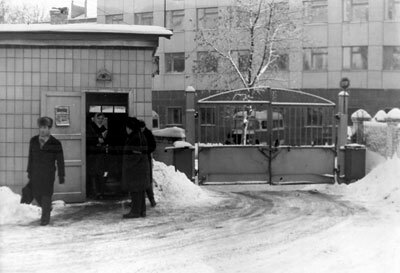 The factory had two addresses in the 60’s and 70’s: Oktyabrskaya Street, 72 and Shevchenko Street, 37. It was decided to build a new building for the factory in Poltava. During the construction period, the factory frees the territory of the Oktyabrskaya Street, 72 and moves to the Lunacharskogo Street, 8 and the output does not stop for a single day. 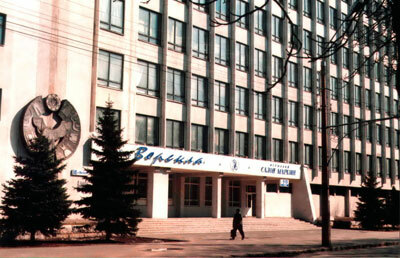 In 1976 the Poltava industrial sewing association was established on the basis of Poltava clothing factory and consisted of Kobelyatsky and Kremenchug clothing factories. The number of employees in the association was 2511 people. A new 7-storey factory building was put into operation on Victory Day, September 23, 1984. The new factory was built with the help of the Poltava builders and factory employees. People have built the factory for themselves in their spare time, after work and on weekends. It was a great event for the city and our company, the staff located together in one building with bright, warm, spacious rooms. During the planned economy the factory processed more than 6 million meters of fabric and produced 2 million units per year. Moreover, one million of units were produced in North Korea, a branch of the company. In 1991 Unionmatex, a German firm, refitted technical equipment of the company. 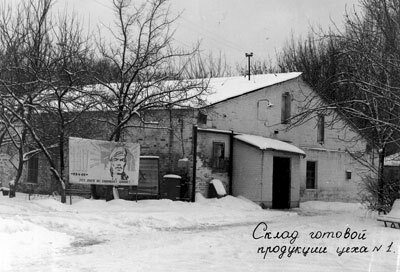 In 1993, the factory was corporatized and converted into a VORSKLA Poltava company "Production of clothes. Import. Export" ZAO (Closed Joint Stock Company). Since 1994, the company manufactures products under the terms of tolling for foreign firms such as Montana, Betty Barclay, Henke, Harry Weber (Germany), fashion house Prada (Italy), Tara Jarmon (France). During these years, VORSKLA won confidence and good company image in Europe that were based on high quality production and required terms of finished products dispatch. In 2011-2012, our company created new employment opportunities and started new branches in Poltava region: Lokhvytsia town, Kobeliaky town, and Zinkiv town. In 2016, it was reorganized into the Poltava Firm “VORSKLA-STYLE" (LLC). Our team consists of highly qualified, talented. VORSKLA's top-managers dedicated years to their favorite work: 1944-1950 - Terekhov Catherine Yakovlevna, 1950-1955 - Onishchenko Claudia Vasilevna, 1955-1959 - Volovik Stepan Grigorevich, 1959-1976 - Kostenko Lydia Lvovna, 1976-1988 - Khomenko Vitaly Ivanovich, 1988-2009 - Golovko Vyacheslav Mikhailovich. Since 2009, the company is headed by Chmil Viktor Ivanovich, who began his career at VORSKLA clothing factory right after his graduation from the Institute of light industry and went his way from a master to a Board Chairman (Director).